If optimal health is your goal, there’s no getting around your diet. Your physical health is a direct reflection of what you put into your body, and how you live your life in general. Pre-packaged processed foods may be convenient, but cooking from scratch using fresh unprocessed ingredients is a must if you want to improve your health. Remember that one of the keys to staying healthy is avoiding processed foods as much as possible. This means someone, you, your spouse, or someone else, needs to spend regular time in the kitchen. Still, lists of specific items can be helpful to steer you in the right direction. So to help you get started, the following 15 foods are items I recommend you keep on hand so that you always have healthy key ingredients to choose from for cooking and snacking. One of the easiest and most efficient ways to optimize your nutrition is to add sprouted seeds to your vegetable juice and/or salad. While you can sprout a wide variety of seeds, my favorite is sunflower seeds. Sprouted, the protein, vitamin, and mineral content of sunflower seeds soar,and will typically provide you with 30 times the nutrient content of organic vegetables! Sprouts in general also contain valuable enzymes—up to 100 times more enzymes than raw fruits and vegetables—that allow your body to absorb and use the nutrients of other foods you eat. Sprouts are the ultimate locally-grown food, and can easily be grown in your own kitchen, even if you’re tight on space. And since they’re very inexpensive, cost is no excuse for avoiding them. I started sprouting seeds in ball jars nearly 15 years ago. Now I grow them in them in trays using soil instead. It’s far easier and produces far more nutritious and abundant food. You can view the page I created for directions for growing seeds into harvestable sprouts. We have kits to grow spouts in our store. 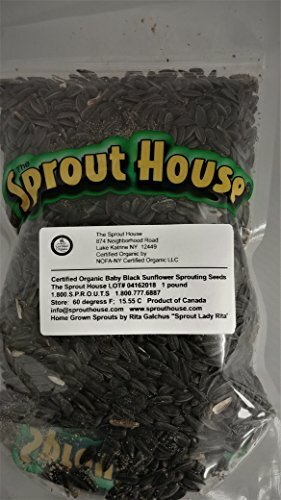 Sprouts-as-medicine.com1 is another good source for things relating to sprouts: their health benefits, recipes, and how to grow your own. The British Verticalveg.org2 is another. The latter gives helpful growing tips for each month of the year. One of the benefits of sprouts is that you can grow them year-round, even when it’s cold and dark. The article “6 Easy Steps to Sprout Heaven”3 teaches you how to grow your own sprouts, from start to finish. Proteins are essential to the building, maintenance, and repair of your body tissues, including your skin, internal organs, and muscles. Proteins are also major components of your immune system and hormones. Eggs are powerhouses of healthy nutrition, provided they’re harvested from organically raised, free-range, pastured chickens. The nutritional differences between true free-ranging chicken eggs and commercially farmed eggs are a result of the different diets eaten by the two groups of chickens. You can tell the eggs are free range or pastured by the color of the egg yolk. Foraged hens produce eggs with bright orange yolks. 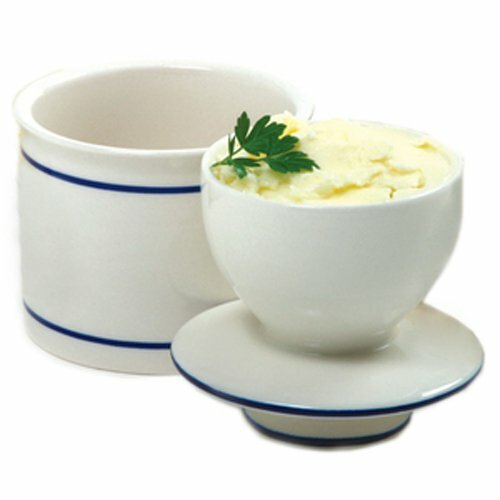 Dull, pale yellow yolks are a sure sign you’re getting eggs from caged hens that are not allowed Nordic Ware Microwave ... Best Price: $23.99 Buy New $25.00 (as of 08:00 EDT - Details) to forage for their natural diet. Your best source for fresh eggs is a local farmer that allows his hens to forage freely outdoors. To find free-range pasture farmers, ask your local health food store or refer to EatWild.com4 or LocalHarvest.com.5Cornucopia.org also offers a helpful organic egg scorecard6 that rates egg manufacturers based on 22 criteria that are important for organic consumers. Good old-fashioned butter, when made from grass-fed cows, is a rich in a substance called conjugated linoleic acid (CLA). CLA is not only known to help fight cancer and diabetes, it may even help you to lose weight, which cannot be said for its trans-fat substitutes. As mentioned above, RealMilk.com7 can help you locate a source of raw butter. 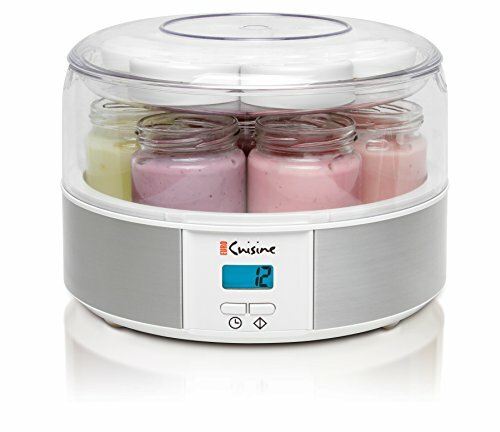 If you want to try your hand at making it yourself, check out Positron.org.8 They have an excellent web page with step-by-step instructions9 for The Spice Lab Pink Him... Buy New $7.75 (as of 09:55 EDT - Details) making your own butter from scratch, using raw, grass-fed milk. Your gastrointestinal tract (GI) houses some 100 trillion bacteria. These bacteria actually outnumber your cells 10 to 1. When your GI tract is not working well, a wide range of health problems can appear, including allergies and autoimmune diseases. If you suffer from any major illness, it’s imperative to “heal and seal” your gut in order to fully recuperate. Balancing the menagerie of microorganisms that occupy your GI tract is a key part of maintaining a robust immune system. To maintain a healthy gut, fermented foods are a necessity. Just one quarter to one half cup of fermented food, eaten with one to three meals per day, can have a dramatically beneficial impact on your health. Yogurt and kefir are two examples, but there are many others. Ideally, you’ll want to include a variety of cultured and fermented foods in your diet, as each provides different beneficial bacteria. And, as with kefir and yogurt, you can easily and inexpensively ferment your own vegetables. While you can do wild fermentation, which is allowing whatever is on the vegetable to just naturally take hold and culture the food, this method is very time consuming. 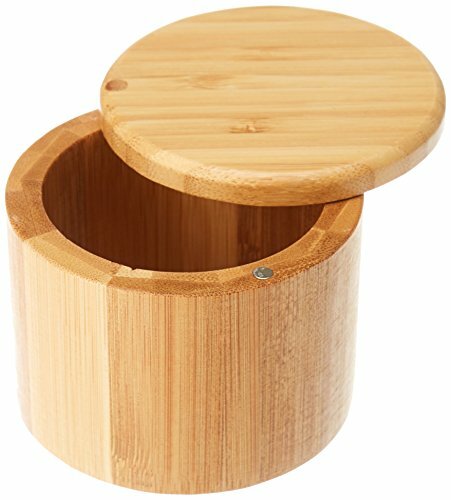 Inoculating the food using a starter culture speeds up Totally Bamboo 20-2083... Buy New $8.99 (as of 12:10 EDT - Details) the fermentation process. My research team has also created a starter culture loaded with powerful probiotic strains to help produce high levels of vitamin K2, which many people are deficient in. Avocados, which are actually classified as a fruit, are low in fructose and rich in healthy monounsaturated fat (which is easily burned for energy), and research has confirmed the avocado’s ability to benefit vascular function and heart health. Personally, I eat a whole avocado virtually every day, which I usually put in my salad. This increases my healthy fat and calorie intake without raising my protein or carbohydrate intake by much. It is also very high in potassium (more than twice the amount found in a banana) and will help balance your vitally important potassium to sodium ratio. Avocados also provide close to 20 essential health-boosting nutrients, including fiber, vitamin E, B-vitamins, and folic acid. Besides eating them raw, you can use avocado as fat substitute in recipes calling for butter or other oils. Another boon of avocados—they’re one of the safest fruits you can buy conventionally-grown, so you don’t need to spend more for organic ones. Their thick skin protects the inner fruit from pesticides. Mounting research suggests that nuts may actually help you live longer, and help you lose weight. This isn’t so surprising considering the fact that tree nuts are high in healthy fats that, contrary to popular belief, your body needs for optimal function. Most nuts’ nutritional makeup closely resemble what I consider to be an ideal ratio of the basic building blocks—fat making up the greatest amount of your daily calories, followed by a moderate amount of high-quality protein and a low amount of non-vegetable carbs. 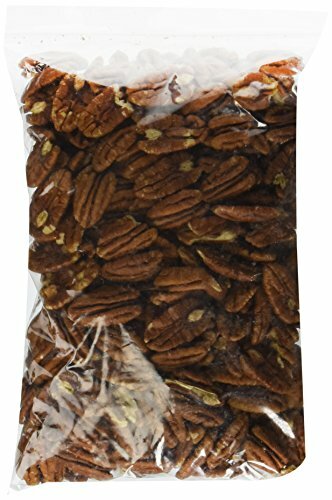 My favorite nuts are macadamia and pecans, as they provide the highest amount of healthy fat while being on the lower end in terms of carbs and protein. The main fatty acid in macadamia nuts is the monounsaturated fat oleic acid (about 60 percent). This is about the level found in olives, which are well known for their health benefits. Its medium chain fatty acids (MCTs) also impart a number of health benefits, including raising your body’s metabolism and fighting off pathogens. Additionally, a very exciting and recent discovery is that coconut oil may serve as a natural treatment for Alzheimer’s disease, as MCTs are also a primary source of ketone bodies, which act as an alternate source of brain fuel that can help prevent the brain atrophy associated with dementia. Coconut oil is easy on your digestive system and does not produce an insulin spike in your bloodstream, so for a quick energy boost, you could simply eat a spoonful of coconut oil, or add it to your food. 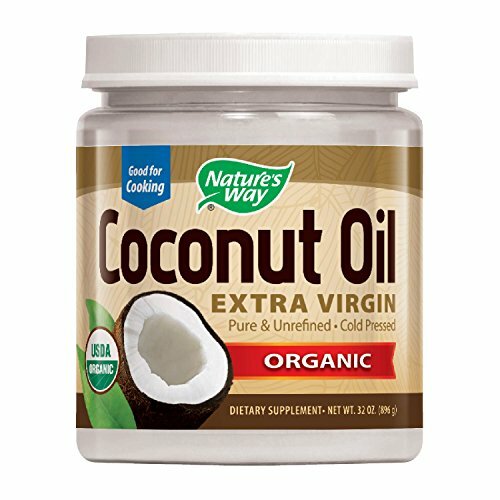 Make sure you choose an organic coconut oil that is unrefined, unbleached, made without heat processing or chemicals, and does not contain genetically engineered ingredients. As an added boon, coconut oil has countless other uses besides cooking and eating; from topical beauty applications to first aid treatments, to general household cleaning. Herbs are not only great in meals for spice and added flavor but are key to the nutritional density in the foods you eat. As just one example, plain black pepper actually increases the bioavailability of just about all other foods — herbs and other compounds! Herbs can protect you against diseases, clear toxins from your body, and provide you with vitamins and minerals. 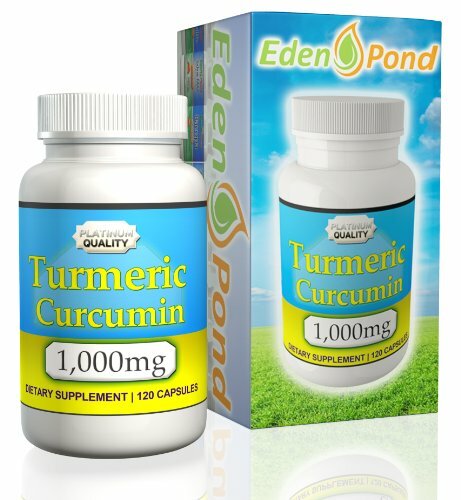 Every time you flavor your meals with herbs or spices you are literally Eden Pond Turmeric Cur... Buy New $24.99 (as of 07:15 EDT - Details) ”upgrading” your food without adding a single calorie. As a general rule, you really can’t go wrong when using herbs and spices, and I recommend allowing your taste buds to dictate your choices when cooking. That said, herbs and spices also have a variety of medicinal properties, which you can read more about in my previous article on the nutritional and medicinal role of herbs and spices. Turmeric is one example of a spice with potent and scientifically proven medicinal benefits—against cancer no less. Raw garlic is a food that should be on your menu daily. It boosts your body’s natural abilities to protect you from hypertension and osteoporosis, and research is mounting that it decreases your risk for various forms of cancer. It is a potent antimicrobial as well, working as a natural antibiotic, antifungal, antiviral, and antiparasitic agent. Garlic must be fresh to give you optimal health benefits, though. The fresh clove must be crushed or chopped in order to stimulate the release of an enzyme called alliinase, which in turn catalyzes the formation of allicin. Homemade bone broth is excellent for speeding healing and recuperation from illness, as it helps “heal and seal” your gut, the importance of which was discussed earlier. It contains healthy fat, of course, but also important minerals like calcium, magnesium, phosphorus, silicon, sulfur, and trace minerals, as well as the broken down material from cartilage and tendons—including chondroitin sulphates and glucosamine. 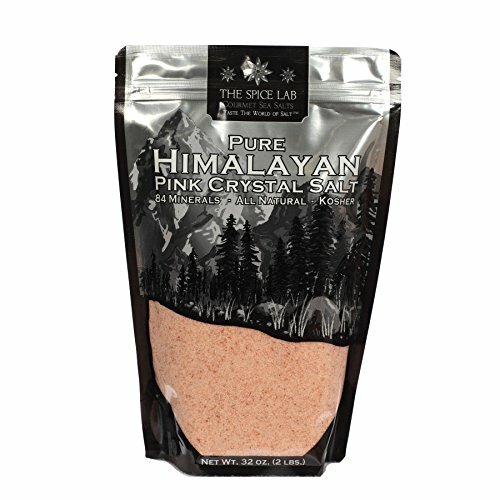 Natural unprocessed salt, such as Himalayan salt, contains about 85 percent sodium chloride and 15 percent naturally-occurring trace minerals—about 84 of them in all, including silicon, phosphorus, and vanadium. On hot days, or after exercising and sweating profusely, you can make a wholesome sports drink to replenish lost electrolytes and minerals by mixing a pinch of Himalayan salt and a dash of fresh lemon juice in a glass of water. Rising pollution levels have contaminated most fish to the point of being potentially hazardous, especially for children and pregnant women, if eaten too frequently, or in too high amounts. The key to eating fish these days is to choose fish that are high in healthy omega-3 fats, and low in hazardous contaminants. Wild-caught Alaskan salmon (NOT farmed) fits this description, and is one of the few types of fish I still recommend eating. While fish will certainly stay fresh for a long time if frozen, another option is to stock up on canned salmon. Just make sure it’s labeled “Alaskan Salmon,” as Alaskan salmon is not allowed to be farmed. 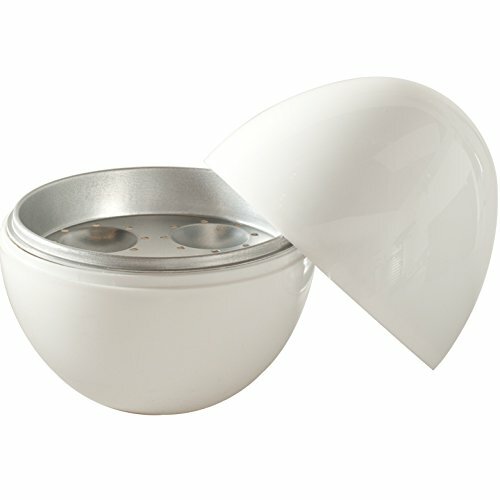 Also look for BPA free canned options like what we have in our store. Avoid Atlantic salmon, as all salmon labeled “Atlantic Salmon” currently comes from fish farms. Also, sockeye salmon cannot be farmed, so if you find sockeye salmon, it’s bound to be wild, and therefore a good choice. Other canned fish that are in the safer category (having lower contamination risk and higher nutritional value) are sardines, anchovies, and pickled herring. Even if you don’t have access to raw milk, you can use a high-quality, minimally processed whey protein derived from the milk of organically-raised grass-fed cows to receive many of the same health benefits. Whey protein contains beta-glucans and immunoglobulins, which protect your immune system and support your body’s natural detoxification processes. Whey protein is often referred to as the gold standard of protein, and when consumed 30 minutes before and/or after your workout, it can help increase both fat burning and muscle building. Amino acids found in high-quality whey protein activate certain cellular mechanisms, including a mechanism called mTOR,14 which in turn promotes not only muscle protein synthesis, but also boosts thyroid, and protects against declining testosterone levels after exercise. Cultured dairy products such as yogurt and kefir made from organic, grass-fed milk are other powerhouses of nutrition you’ll want to keep in stock—and you can easily make them yourself, using a starter culture. Besides cow’s milk, you can also make them fusing raw goat or sheep’s milk. While both kefir and yogurt are cultured milk products, they contain different types of beneficial bacteria (probiotics). Yogurt contains transient beneficial bacteria that keep your digestive system clean and provide food for the friendly bacteria that already are present. Kefir actually helps to colonize your intestinal tract — a feat that yogurt cannot match. Additionally, kefir contains several major strains of friendly bacteria and beneficial yeasts not commonly found in yogurt. Kefir’s active yeast and bacteria may provide more nutritive value than yogurt by helping digest the foods that you eat and by keeping the colon environment clean and healthy. It also contains vitamins, minerals, and essential amino acids that help your body with its natural healing powers and maintenance functions. Previous article by Joseph Mercola: Hypothyroid or Hyperthyroid?